Filipinos love singing and eating. My Canadian boss once asked me, "Why do you guys (Filipinos) love karaoke?" My answer was, "Filipinos are blessed with lovely singing voice and we just want to share this talent to the world". My boss almost flipped. 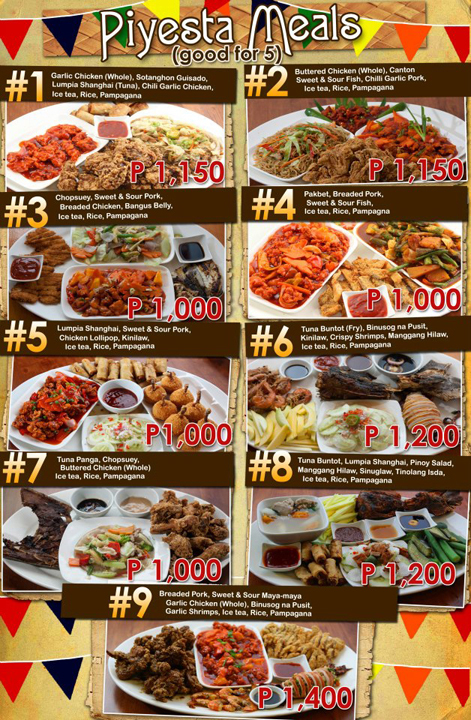 One of my family's favorite weekend hangout is Piyesta KTV and RestoBar located at SM City Annex. We've been here for at least five times already as far as I can remember, that's the reason I considered it as a favorite. What better place to enjoy good food while singing your hearts out in their festival inspired rooms. They have KTV rooms good for 5 persons @P1000 and a bigger room good for 10 persons @P1500. The good thing is everything is consumable. Great deal! Wait, here's more.The regular rates is only applied on the first hour and the next succeeding hours is at 50% off. They also have an ongoing promo, all KTV rooms are at 50% off between 10AM to 4PM. The KTV rooms are sound proof so you need not worry about diners hearing you belting out to your favorite Aegis song. Another great thing about Piyesta is the food. Yes, they have great food. We love to order their Piyesta meals. This meal is good for 5 served with rice, soup and a pitcher of iced tea. 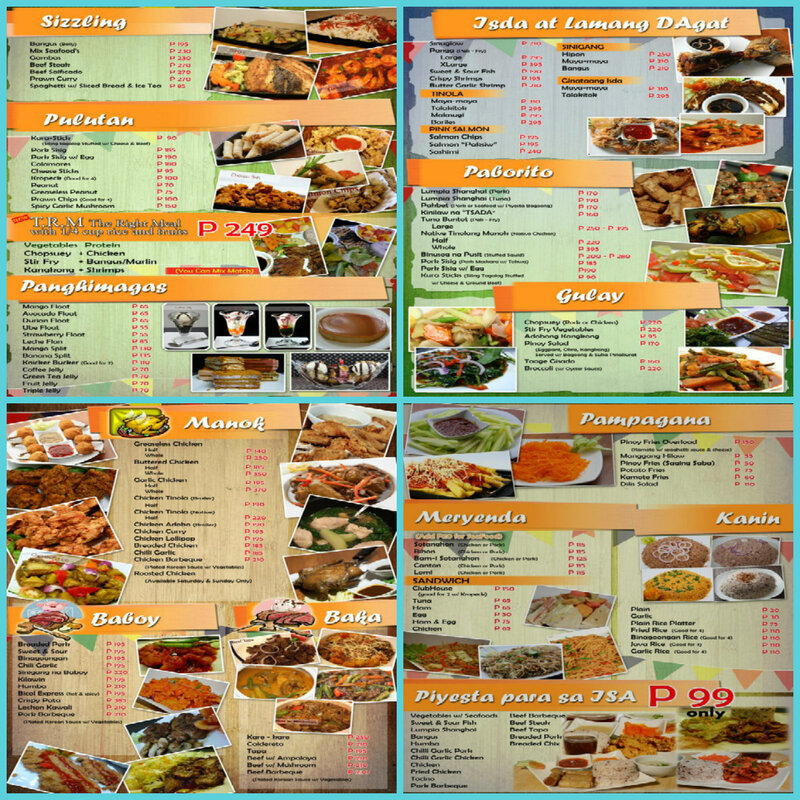 Here's a preview of their menu, I grabbed these from Piyesta FB page. And here are some photos during one of our visits. I highly recommend Piyesta KTV and RestoBar to all. Its great for family bonding and barkada gimmicks. They will open their second branch in Davao very soon so watch it for it.